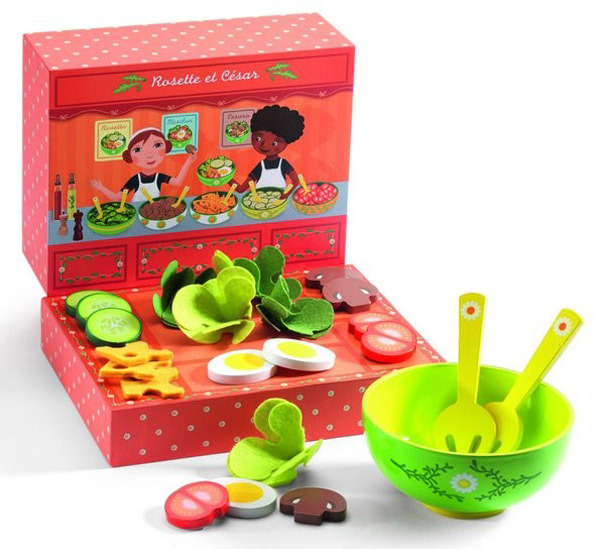 If you have a budding Masterchef on your hands, a keen as mustard kitchen helper or perhaps someone who just prefers to play with their food, we’ve got the toy for you! One of my personal favourite toy brands, Djeco, have just released three beautiful food play sets for little people to get busy with. Be it a wannabe pastry chef or a salad and sandwich maker extraordinaire, these rather delicious looking wood and felt sets will ignite a child’s imagination for sure – just be prepared to be expected to ‘eat’ more than your fair share of pretend pastries, sandwiches and salads! 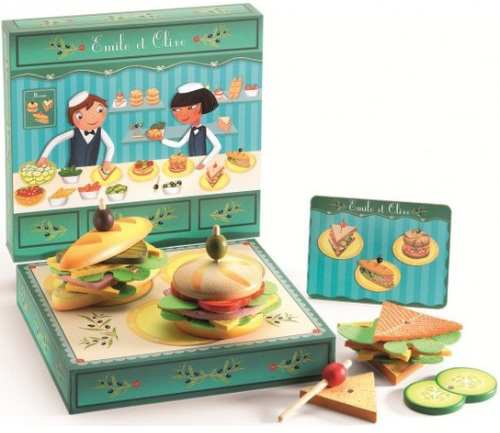 Three Djeco sets are available – Emile et Olive ($39.95) for scrumptious looking baguettes and sandwiches, using olives, felt cheese and wooden cucumber. The Rosette et César ($34.95) set will have little ones creating a perfect salad every time and includes a darling daisy motif salad bowl and servers. 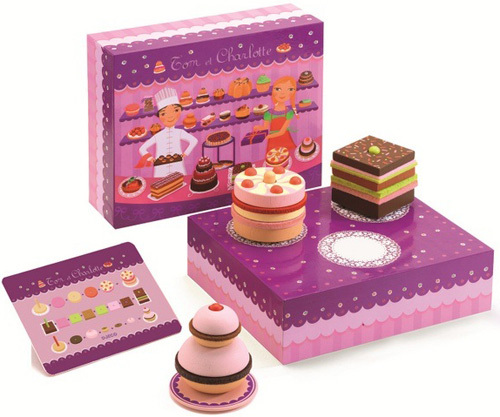 For a well rounded meal, dessert simply mustn’t be forgotten – and how could it possibly be with the magnificent Tom et Charlotte patisserie set ($36.95), stacking layers of felt ganache with wooden cake layers all on a patterned plate. Suitable for children aged from four years, these glorious culinary delights are available from Urban Baby.